I want to get my piano tuned, but is it worth tuning? If you want to schedule a time for me to come evaluate a piano, I’ll apply the cost of that evaluation towards the tuning if you decide to get it tuned at a later date. It’s free on Craigslist! Do I need to get it evaluated? Yes! Pianos are incredibly hard to move, and when considering cost, potential for personal or property damage, and the subsequent disappointment of discovering you now need to move it the dump, the cost of an evaluation could represent saving hours of your time and hundreds of dollars. My piano has a crack! Is it serious? Soundboards are constructed out of solid spruce, and generally crack along their laminates over the course of decades. These cracks are usually not a big deal. Soundboard cracks become a big deal when they allow the soundboard to significantly change shape—to lose its crown—or if they form in such a way as to rattle or cause the ribs to separate. If you notice that one side of the crack is higher than the other, or that the crack is large enough to allow daylight through, you might have a serious crack. The worst cracks are usually tangent to the bridges. 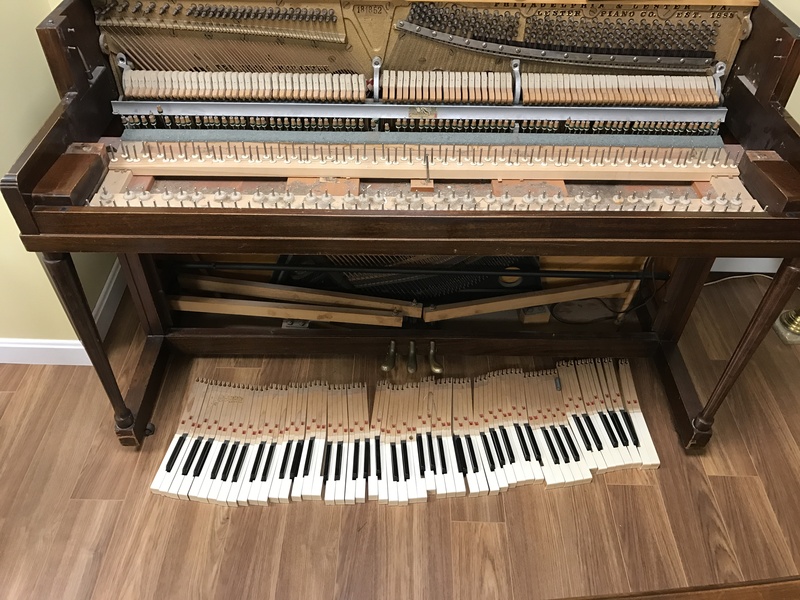 If the piano sounds okay, it’s sometimes possible to continue tuning the piano with even a rather serious crack if you don’t have any other option, or if the piano is an heirloom with sentimental value, and you work to keep the humidity stable.